Click Here FOR Video "AND I WANT"
CLICK HERE FOR VIDEO "COME WASH WITH ME"
CLICK HERE FOR VIDEO "Names On THE WALL"
Andy Belt is a veteran Baltimore singer songwriter who has been recording and performing for the past 28 years. He returned to his acoustic roots with his Summer 2011 release Playin in the Band. In 2012 the band released its acclaimed second CD, Hold the Line, which channels their unique brand of urban-billy new grass with an a dash of Alt/Country Americana. The band's third CD, Hungry For Bread recorded at Bunker Studios and mastered by Bluegrass mastering legend, Bill Wolf, was released in the Summer of 2014 and is available on iTunes. 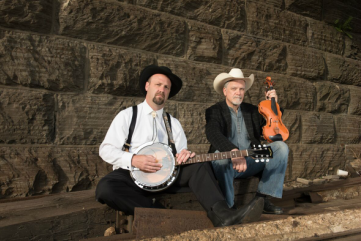 Andy Belt And Gary Backhaus have recently recorded a new CD featuring pre-bluegrass American String Band music. This CD, entitled "Before the Grass was Blue" is now available at Cd Baby, Itunes and at all live performances. Andy Belt & Friends is a four piece acoustic ensemble, playing both original and traditional acoustic material. Collectively, the band possesses multiple decades of performing experience. The ensemble features the lead vocals of singer-songwriter Andy Belt accompanied by the lead guitar of All Mighty Senator, Warren Boes, the multi-instrumental talent of Gary Backhaus on fiddle and banjo, the blazing Mandolin of Charles Roe and the bass of Brian Baker. Andy Belt is often joined in the studio and on stage by InDeadnation’s Brooks Osman on keys, and Brian Truax on harmonica as well as veteran musician and seasoned recording engineer Chris Bentley. The band features impressive harmonies blended with subtle traditional instrumentation, making a pleasing listening experience even for those who are not familiar with the band itself. 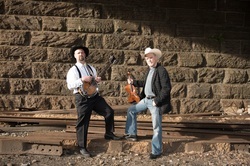 In addition to Andy Belt’s original compositions, the band blends a mix of traditional bluegrass classics as well tunes by Bob Dylan, Neil Young, the Band, Old Crow Medicine Show, The Grateful Dead and more. The Band had played such area venues as The Stil, Recher Theatre, French Press, Manor Tavern, Joe Squared, Mick O’Sheas, Slainte, Waterfront Hotel, Germanos, the 8 x 10 and many more. Andy Belt is presently recording a new project with the Porch Setter Union. This band includes Warren Boes on Guitar, Tony Bonta of the Bald Mountain Band on Banjo, Shawn Heming of Black Friday on Mandolin, and Dave Markowitz of the Bridge on Bass. This CD should be available by the new year, 2017.